With the new line IDEA, CIB UNIGAS presents on the market a new conception of modern and functional burners for small and medium appliances. These burners, which are the most powerful of the range IDEA, are particularly suitable to work on boilers with high back pressures. 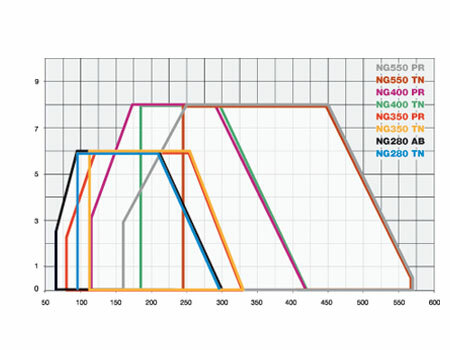 In particular, NG350 and 400 fit a single “modular” blast tube suitable for standard and extensive uses. The series IDEA is the final result of big investments in research and new technologies. For example this new range of burners is provided with a linear and proportional system of supply between gas flow rate and angle of the butterfly valve, to ensure a smooth and regular combustion. The burner, in all versions, are “friendly user”. 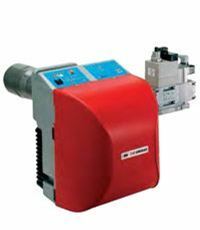 There are plugs which can be easily connected to the feeding line, all mechanical components are mounted on a plate which can be quickly taken off for maintenance. The head is adjustable through a graduated screw. The gas train can be mounted either on the right side or on the left side.